Fiat Chrysler CEO Mike Manley will have only one large global company to run. 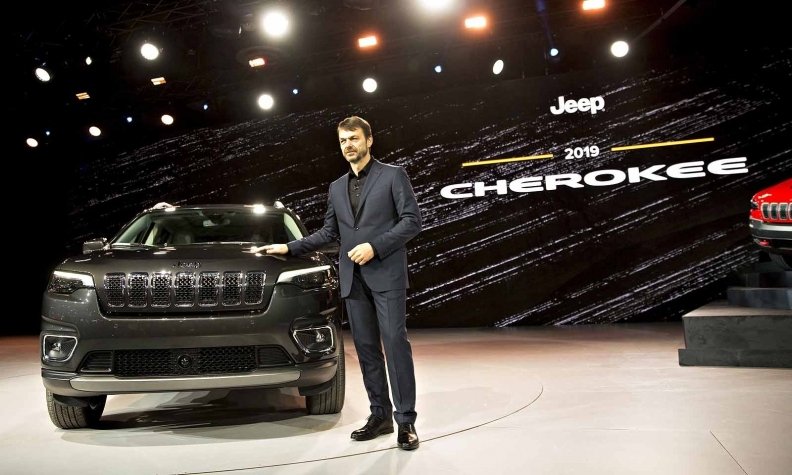 TURIN — Fiat Chrysler Automobiles' new CEO, Mike Manley, is set to announce his management team and a reorganization of the cross-functional way the world's seventh-largest automaker is administered. But no matter whom Manley picks to fill key roles in the automaker — including who, if anyone, will replace him as global head of Jeep, FCA's profit engine, or how a reconstituted FCA will be organized — Manley himself will come away with a lighter personal workload than that of his late predecessor, Sergio Marchionne. Marchionne — known for maintaining a staggering global workload that saw him spend much of his life flying between continents on a private jet, as well as his dozens of direct reports across the business empire he constructed — died July 25 at the age of 66. A memorial service for Marchionne was scheduled Thursday for employees at FCA's U.S. headquarters in Auburn Hills, Mich.
FCA Chairman John Elkann told shareholders on Sept. 7 that Manley would name his new management team before the end of the month. Within FCA itself, Manley will have several potential openings to fill, depending on the structure he creates. Under Marchionne, the automaker's global business was divided into five regional empires: North America, Latin America, China, Asia-Pacific and Europe/Middle East/Africa. In addition,in its North American subsidiary, FCA US, the automaker's products and brands were split among different chiefs, with Manley heading trucks and SUVs and Steve Beahm leading passenger car brands. At both the parent company and its subsidiary, there were also heads of different subfunctions, including engineering, powertrain, business development and components. All of these different roles were represented on what FCA calls its Group Executive Council. Marchionne organized the GEC to be FCA's highest management decision-making body. Manley continues to oversee Jeep and Ram, his job before he succeeded Marchionne as CEO. In July, he also added Marchionne's titles of Group CEO and COO of the NAFTA region. When Alfredo Altavilla — COO of the Europe, Middle East and Africa region — resigned following Manley's promotion, Manley took on that title, too. Pietro Gorlier, who oversees components makers Mopar and Magneti Marelli, is a leading candidate to become the new chief of Europe as part of Manley's reorganization, people familiar with the matter have told Bloomberg News. Marchionne initially created a GEC structure of more than 20 direct reports at Fiat SpA, where he was named CEO in 2004. He then replicated it at Chrysler Group after Fiat took control as part of the American company's bankruptcy in 2009. In 2015, Marchionne had a total of 38 direct reports, according to The Detroit News. Most recently, Marchionne had a Group Executive Council with 21 executives responsible for 26 disciplines reporting directly to him. Richard Palmer, who had been considered another top candidate to succeed Marchionne, previously had two jobs: CFO and head of the systems and castings unit. He added a third groupwide position in late July, overseeing business development, following Altavilla's resignation. Central functions related to vehicles are design, engineering, powertrain, manufacturing, purchasing, quality and technical compliance. Support and corporate processes are business development, finance, human resources, audit and sustainability, as well as a GEC coordinator. FCA's corporate structure, which looks byzantine compared with that of most other global automakers, was viewed as an asset by Marchionne. He credited the cross-functional responsibility structure for creating an interdependent management team that enabled rapid decision making. By comparison, at Volkswagen Group — the world's largest automaker — just eight executives sit in the management board headed by CEO Herbert Diess. General Motors CEO Mary Barra has 13 direct reports. Marchionne presciently told Automotive News in August 2015 that Manley and FCA's other top executives, whom he called "kids," would soon find themselves on their own,because he intended to retire after 2018. Marchionne said that the training they received under the complex, interwoven leadership structure he created would one day serve them well. "I've got a crew of kids that are growing properly. I think I will still be afraid today to let them alone into the woods because they'll come back with a [expletive] bloody nose and no legs, but there's going to be a point in time in which I'm going to have to let them go, right, into the woods alone and see what they can find," Marchionne said then. Marchionne said he saw FCA's leadership, as well as training and retaining its crop of leaders, as vital, but no matter what the structure, the buck always stops at the CEO's desk. "You need stability, and I think that one of the things that we've been able to do in some cases poorly, some cases really well, is establish a culture where leadership matters," the late CEO explained. "It's part of growing, you know, letting the leadership class — because I told them, I said one of you is going to do what I do one day. I don't know who that is, but one of you is going to do it."